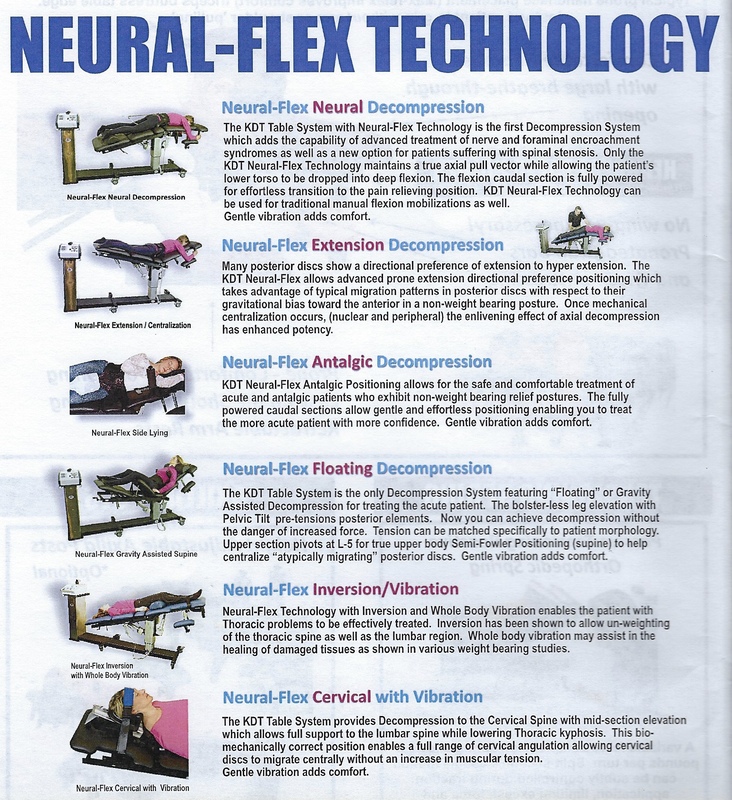 The KDT 655 Neural Flex Table allows for directional preference. 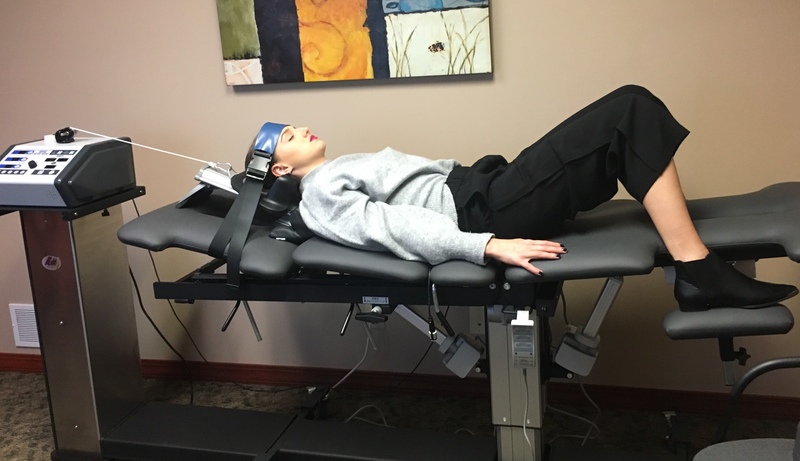 This means the patient can be placed on the decompression table in a position that relieves their symptoms while the traction force is applied. The patient can be positioned on their stomach, back, side, sitting, flexion or extension. You don’t have to live in debilitating pain. Whether you have lower back pain, neck pain, a pinched nerve, stenosis, sciatica, or a variety of symptoms related to damaged or degenerative discs. KDT Therapy may be right for you. The gentle distractive force of the KDT Therapy creates a decompression of the spine with unloading due to distraction and proper position, to improve blood flow and nutrient exchange to the injured area. You will experience several cycles of stretch and then relaxation, which graduates to a peak over a period of several minutes. Therapy sessions typically last about 12 minutes, 2-3 times a week for 1 month, transitioning from passive to active treatments as you respond, with most patients feeling pain relief within as few as 10-20 visits. Most patients are released from treatment after 2 months. A complete program targeting the function of the stabilization muscles is a vital part of KDT Therapy. Exercise and adjunctive therapies such as heat, muscle stimulation, ultrasound, and cold therapy can assist in rehabilitation of these structures. Our goal is to not only help heal the disc, but to also enhance muscular control and support of the back and neck. Regular home exercise and periodic visits to our office will help in maintaining your spinal health and reduce the probability of reoccurrences. Clinical results of this type of therapy have been effective for most patients. 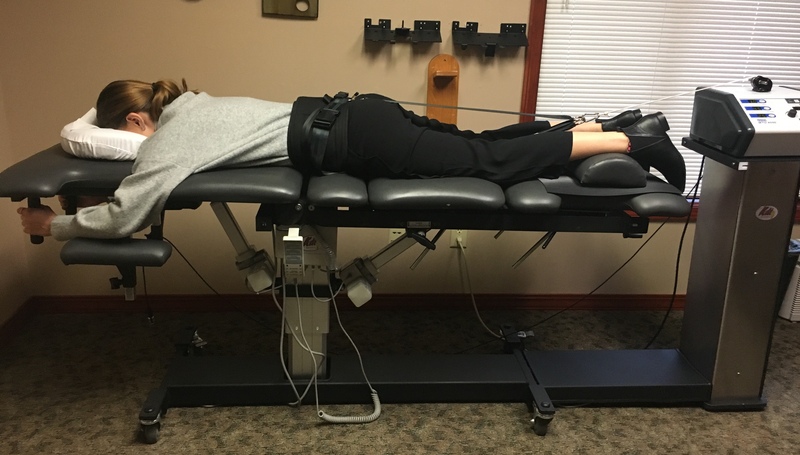 Patients can find long-term relief or effective management of their pain when they complete the entire program of treatments utilizing KDT Spinal Decompression Therapy.